Gov. Dennis Daugaard has approved protections in South Dakota law for students who want to wear eagle feathers or plumes at school graduations. The Republican governor on Thursday signed the tribal regalia law, which requires state and local officials to let people wear eagle feathers and plumes at school honoring or graduation ceremonies. The U.S. Fish and Wildlife Service operates the National Eagle Repository to provide Native Americans with eagle carcasses, parts and feathers. Secretary of Tribal Relations Steve Emery told a state Senate panel earlier this month that a person coming back from war would receive an eagle feather. "I think it's very important as a culture we recognize the accomplishments and achievements of people that do great things," Emery said. "Graduating high school is a great accomplishment for many of our children, and I think this bill needs to go forward to recognize and honor those accomplishments." Democratic Rep. Shawn Bordeaux, the bill's sponsor, said before the measure was signed that it's a "great way" to allow tribal members to express pride in who they are. He said South Dakota is becoming a "better place each and every day." Daugaard listed the legislation as an accomplishment in a recent column about the 2018 legislative session. With his signature, it will take effect July 1. 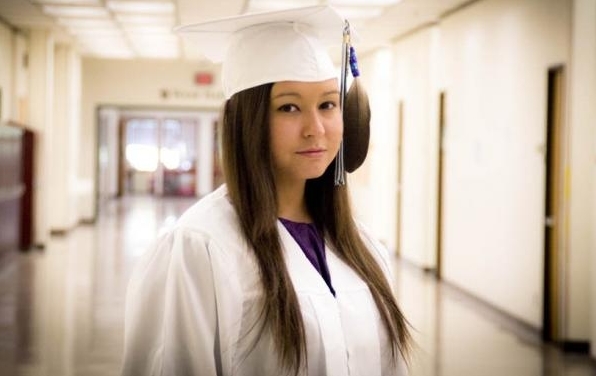 Responses to "Eagle feathers, plumes at graduations now protected in law"